The federal governments of the United States, Canada, and Mexico, under the authorities of bilateral treaties and federal legislation, are ultimately responsible for the protection and conservation of migratory birds in North America. In the United States, this responsibility has largely been delegated to the U.S. Fish and Wildlife Service. The Migratory Bird Treaty Act authorizes state governments to adopt and enforce laws and regulations protecting migratory birds, as long as they aren't inconsistent with those of the federal government. That is, state authority may be more restrictive than the federal authority, but not more liberal. Each state has constitutional and legislative mandates and a body of laws and regulations that direct the conservation and public uses of migratory game birds within their borders. Hunters, by returning the bands they've found on the legs of ducks and geese they harvest, have helped identify the migration patterns of waterfowl through the continent. Biologists proposed in the mid-1930s that migratory birds followed four geographical flyways during their spring and fall migrations across North America. East to west, the flyways are the Atlantic, Mississippi, Central, and Pacific. Flyway is a useful geographic term that describes four regions of the United States. Although migratory birds fly through many narrow migration corridors, the flyways fairly accurately represent the major north-south migration pathways. (Download a Pacific, Central, Mississippi, or Atlantic flyway map; 188 to 200 KB PDF files). Because of the unique biological characteristics and relative number of hunters in the flyways, the Service adopted the flyway structure in 1947 for administering migratory bird resources within the United States. 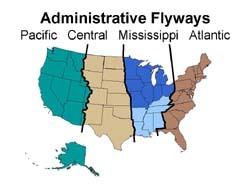 Although biological flyways extend through North America, administrative flyways are specific to the United States. The Mississippi flyway is further divided into north and south regions. States have always played an essential role in the protection and conservation of migratory birds and their habitats at regional and locals level. Over the past 50 years, states increasingly have become involved in research and management of migratory game birds on a broader scale. 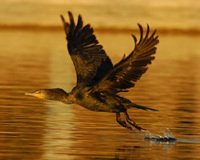 With increased state participation came a demand for a greater role in the federal regulation of migratory game birds. States also recognized the need for greater coordination and cooperation of efforts to improve biological and ecological information on migratory birds, exchange of that information among biologists and managers from different geographic areas, and consistency in harvest regulations. After several years of working in the flyway system, states decided they could more effectively achieve their objectives by organizing by flyways rather than operating individually. 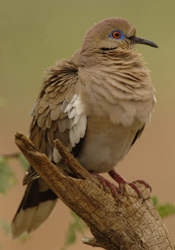 In 1951, the Association of Fish and Wildlife Agencies passed a resolution recommending the establishment of a flyway council in each flyway that would be composed of representatives of the state wildlife agencies, and a national flyway council consisting of one elected member from each flyway council. Further, one representative of the Service was to serve as a liaison officer for each council to help coordinate state and federal programs. Flyway councils were established in 1952 and the national council in 1953. Flyway councils may include representatives from state, province, and federal governments in the United States, Canada, and Mexico, but only U.S. state wildlife agencies vote on regulatory matters in the United States. Flyway councils serve as the forum for increased cooperation in the management of migratory game between the states and the U.S. Fish and Wildlife Service, but also among public wildlife conservation agencies in the United States, Canada, and Mexico. Establishment of the flyway councils increased state coordination and participation in monitoring, data evaluation, research, habitat protection, management, and regulation setting for migratory birds in North America. Each flyway council generally has three technical committees including a waterfowl, upland game bird, and a nongame bird technical committee. The technical committees may include representatives from state, province, and federal governments in the United States, Canada, and Mexico, but only U.S. state wildlife agencies vote on regulatory matters in the United States. A biologist from a state or province may serve on more than one technical committee within a flyway. The technical committees function to develop cooperative programs and management plans and to formulate recommendations to the council pertaining to the research and management of migratory birds. Flyway waterfowl and upland game bird technical committees were generally established in 1952 when the councils were created, and the flyway nongame bird technical committees were established in 2006. Members of the council include one representative, the director or an appointee, from each state or provincial wildlife agency in the western United States, Canada, and Mexico. In the United States, this includes Alaska, Arizona, California, Idaho, Nevada, Oregon, Utah, Washington, and those portions of Colorado, Montana, New Mexico, and Wyoming west of the Continental Divide (presently, New Mexico chooses not to be an active member of the Pacific Flyway Council). The federal governments of the United States, Canada, and Mexico, and Alaska subsistence harvest management bodies may provide an ex officio representative to the Council. Only U.S. state members vote on U.S. regulatory matters. Two members of the Council, one from the interior states and one from the coastal states, are elected to serve as consultants to the U.S. Fish and Wildlife Service's Migratory Bird Regulation Committee. One member of the Council is elected to serve on the National Flyway Council and the International Association of Fish and Wildlife Agencies' Migratory Wildlife Committee. The Pacific Flyway Council has two technical committees including a game bird technical committee and a nongame bird technical committee. The game bird technical committee deals with both waterfowl and upland game bird issues, unlike other flyways, where these issues are addressed by separate technical committees. Membership of each technical committee includes one representative from each state or provincial wildlife agency in the western United States, Canada, and Mexico. This includes Alaska, Arizona, California, Colorado, Idaho, Montana, Nevada, New Mexico, Oregon, Utah, Washington, and Wyoming in the United States. The Pacific Flyway game bird technical committee is called the Pacific Flyway Study Committee and the nongame bird technical committee is called the Pacific Flyway Nongame Migratory Bird Technical Committee. The Council is a policy and regulation setting body whereas the Study Committee and Nongame Migratory Bird Technical Committee are scientific fact finding bodies. All three are governed by bylaws. A historical account of the Pacific Flyway Council and Study Committee, including their establishment, was prepared by James C. Bartonek in 1981 (The Pacific Flyway Study Committee and Council: A History, 120 KB PDF file). Mr. Bartonek was the U.S. Fish and Wildlife Service's Pacific Flyway Representative from 1978 to 1995. Photo credit: northern pintail, photographer unknown; cormorant, G. Andrejko; white-winged dove, G. Andrejko.